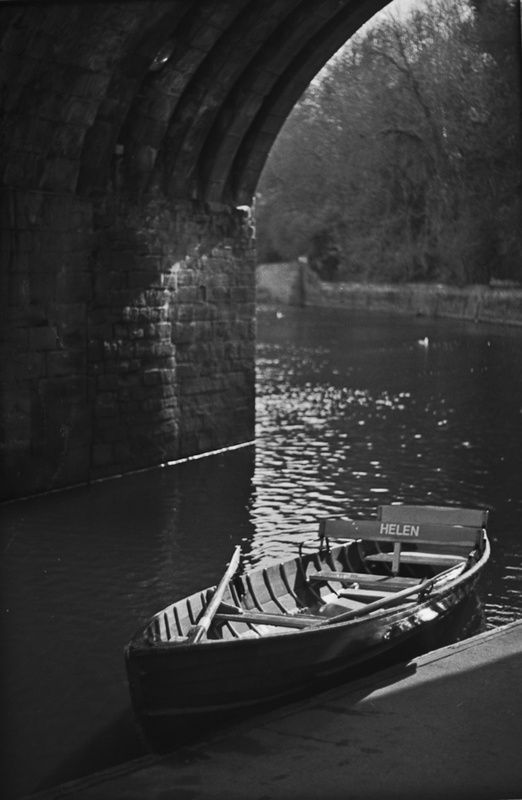 A rowing boat for hire, under one of the arches of the mediaeval Elvet Bridge in Durham. Another shot from the roll of TMax 400 I put through the Canon FTb/Pentacon 50mm. I’m pretty much sold on the combination now.